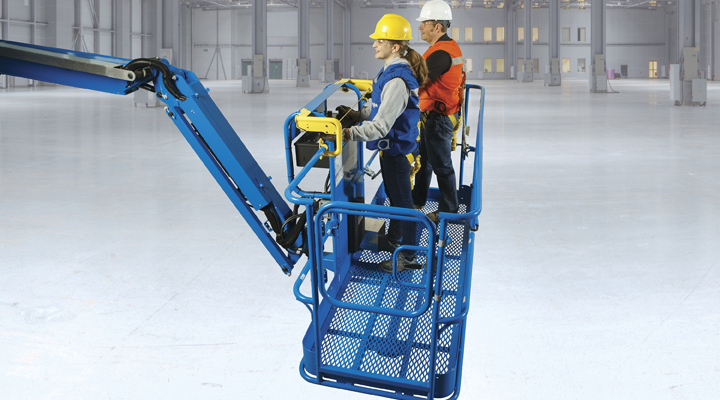 Focusing on rising market demand for clean, quiet, low and emissions-free access solutions, as well as machines that offer the ability to lift heavier loads, Genie, a Terex brand, will be showcasing nine of its latest and best-selling products at Intermat 2018, to be held from 23rd to 28th April at Parc des Expositions, Paris-Nord Villepinte on stand number E5 K 025. Highlights will include the brand’s new generation of environment-friendly hybrid and electric work platforms, new additions to the Genie Xtra Capacity™ (XC™) boom lift family and an upgraded model of the electric Genie GS™-4047 scissor lift. The brand will also be showcasing its new Genie Lift Guard™ line of operator protective systems, and new Genie Lift Power™ generator solution. Genie hybrid and electric models on show will include the ERA award-winning 20 m (65 ft 7 in) Genie Z®-60/37 FE hybrid articulating boom lift, the 12 m (39 ft 4 in) Genie Z-33/18 electric articulating boom lift and the 11.89 m (39 ft) Genie GS-4047 electric slab scissor lift. 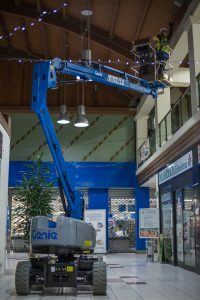 Genie XC models on show will include the 41.15 m (135 ft) Genie SX™-135 XC boom lift, either the 25.91 m (85 ft) Genie S®-85 XC boom lift or the 19.84 m (65 ft) Genie S-65 XC boom lift and the 13.86 m (45 ft 6 in) Genie Z-45 XC articulating booms lift. The new Genie Lift Power™ generator solution that features a dedicated hydraulic circuit, a right-sized breaker and no pressure switch to run the unit reliably, and allows the power to lift and drive during operation. The 3kW Genie Lift Power system is available on Genie XC telescopic boom lifts and is convertible from the European 230/50 power system to the 110 /50 UK system at the click of a switch. The Genie Lift Guard Contact Alarm system is an electronic secondary guarding system, that in some circumstances can provide additional operator protection. Designed to immediately activate and alert ground personnel if an operator makes contact with the breakaway cable by means of a sound alarm and a flashing beacon, the Genie Lift Guard Contact Alarm system is now compatible with 2.4 m (8 ft) auxiliary top rails and new control box protection accessories. Installed standard from the factory on most new Genie articulated and telescopic boom lifts, it is also available as an aftermarket kit which can easily be retrofitted in less than 30 minutes with only a few fasteners and electrical harness connectors on units back to 2003. To adapt to today’s widespread need to enable people to work at height safely with increasingly heavy loads using a single machine, all models of the expanding Genie telescopic and articulating XC family feature a consistent dual lift capacity of 300 kg (660 lb) unrestricted and 454 kg (1,000 lb) restricted across the entire working envelope. These models also provide customers the ability to work with up to three people onboard while still leaving room for tools and jobsite materials. New Automatic Envelope Control Technology providing the ability of retracting the boom automatically when it reaches its operating envelope. Allowing for simple platform positioning and an enhanced operator experience, the system’s low maintenance load-sensor cell continuously checks the weight in the platform in real-time to limit the operating envelope to match the load chart. Zero-Load Calibration increases productivity and reliability by means of the load sensor cell that continuously weighs the load in the platform. As a result, calibration in the field no longer requires burdensome test weights. Full-factory calibration only needs to be performed during annual inspections. Operators will find the control layouts to be consistent and intuitive, making machine operation even more straightforward than before. Designed to meet the overload restriction guidelines in the current European EN280 standard, this new system monitors the weight in the platform and disables drive, steer and certain boom functions if the load exceeds the platform load limit. For Genie SX XC models, a new mini Genie XChassis axle design combines excellent stability, a compact 3.94 m (12 ft 11 in) x 4.11 m (13 ft 6 in) footprint, with axles that extend and retract to and from the stowed position 2.49 m (8 ft 2 in) retracted or 3.94 m (12 ft 11 in) extended and a narrow profile for transport on a standard low-bed trailer. New to the European market, the Genie S-65 XC boom will be available in EMEAR in Q3, 2018. Larger reinforced rotator support, a wider jib and re-designed cylinders to adapt to its increased lift capacity. A new improved load sense system to increase performance, decrease calibration time and improve overall productivity. Drive-enabled at full height under maximum load, these models also features the brand’s unique full-time, positive drive traction and active oscillating axle system. Offering excellent rental returns on invested capital (rROIC) at the entry level of the electric Genie articulating boom lift range, the 12-m (39 ft 4 in) Genie Z-33/18 boom is a simple, robust electric unit powered by an efficient three-phase AC electric drive system. Requiring less energy and offering longer battery cycles, in addition to the benefits of quiet, zero emissions performance and ease of operation, this machine is able to drive longer distances, needs to be recharged less often and costs less to maintain than units equipped with a DC transmission. 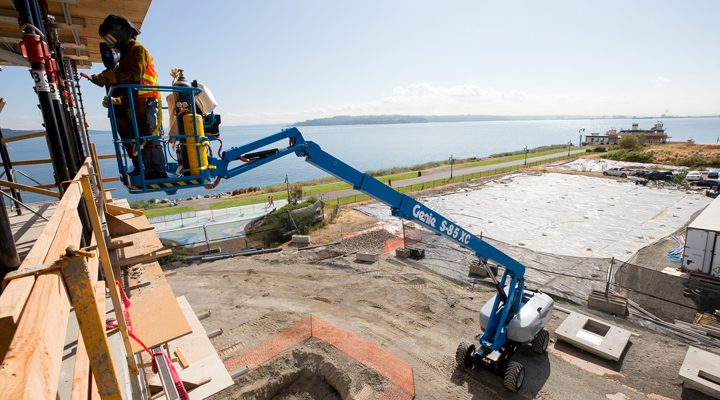 Added to its broad field of application, the Genie Z-33/18 lift provides the ability to perform a full day’s work — both indoors and out — on a single battery charge. Significantly lighter than traditional machines in the 12 m (39 ft 4 in) category, the Genie Z-33/18 lift weighs just 3,640 kg (8,025 lb) — which is nearly 1,500 kg (3,306 lb) less than other types of electric-powered unit. This model notably boasts a total occupied floor pressure of only 991 kg/sq m and a low tyre contact pressure of 483 kPa which make it an ideal solution for applications on fragile indoor surfaces where reduced floor load is paramount, as well as outside duties – even on wet grass or freshly stabilised ground. 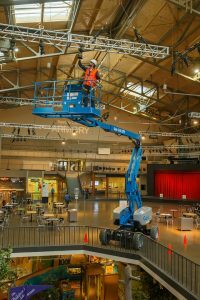 Built for indoor tasks, the Genie GS-4047 self-propelled electric scissor lift is purpose-built to meet the demands of tightly packed, high-rise indoor spaces found in modern tilt-up warehouse construction. This scissor lift lifts to 350 kg (770 lb) to a maximum working height of 13.70 m (44ft 11 in) and drives at full height. A 48 V battery pack offers plenty of power for getting around jobsites and operating a full day of work. Designed with dual front-wheel drive and a zero inside turning radius, combined with a compact footprint of just 2.43 m (8 ft) long and 1.19 m (47 in) wide stowed for work in tight access areas. A 0.91 m (3 ft) extension deck allows workers and tools to maximize the platform workspace. Provided as standard on all all new generation Genie slab scissors, the Genie GS-4047 scissor lift now features an upgraded onboard Genie Smart Charger system that adds several significant improvements to the charging system, including recharging batteries is 20 percent faster than on earlier models, two windows — one on the side of the machine plus one at the back with the power source, battery state of charge is easier to visualise and access and time spent moving machines is significantly reduced. Other improvements include LED lights that indicate the evolution of the charging cycle. During recharging, the LEDs flash green. When the battery reaches full charge, the screen ceases flashing and a solid green screen shows that the machine is fully charged. Additionally, if a fault occurs during the process, it is signalled by an orange screen that means that anomalies do not go unnoticed and delays are avoided. Thanks to the USB port on the Genie Smart Charger system, it is also possible to access information on previous battery charges directly on a laptop computer or smartphone via the Genie SmartLink troubleshooting and diagnostics system.